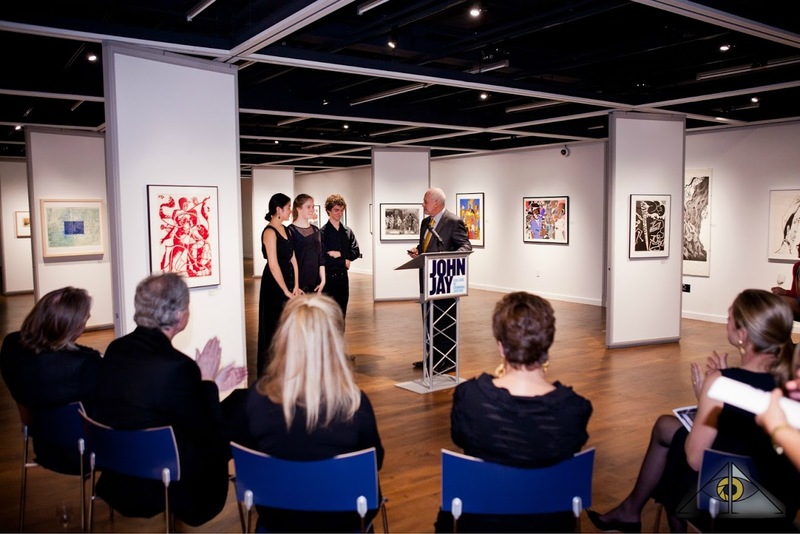 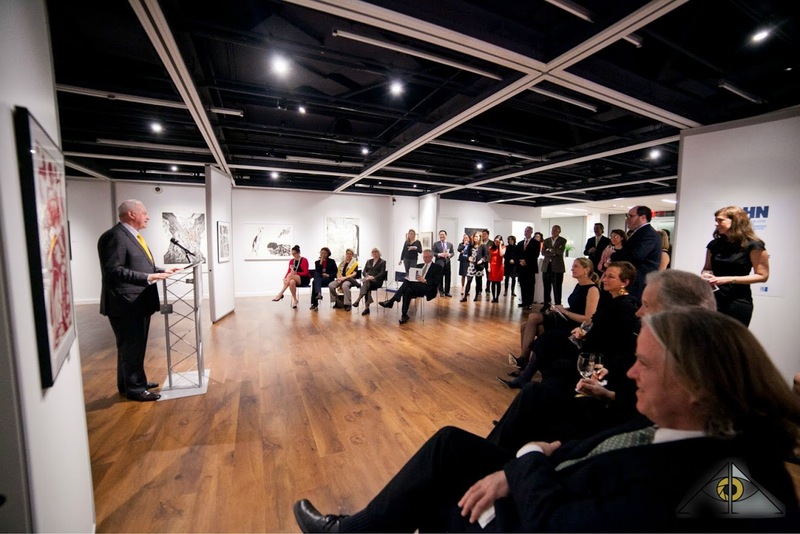 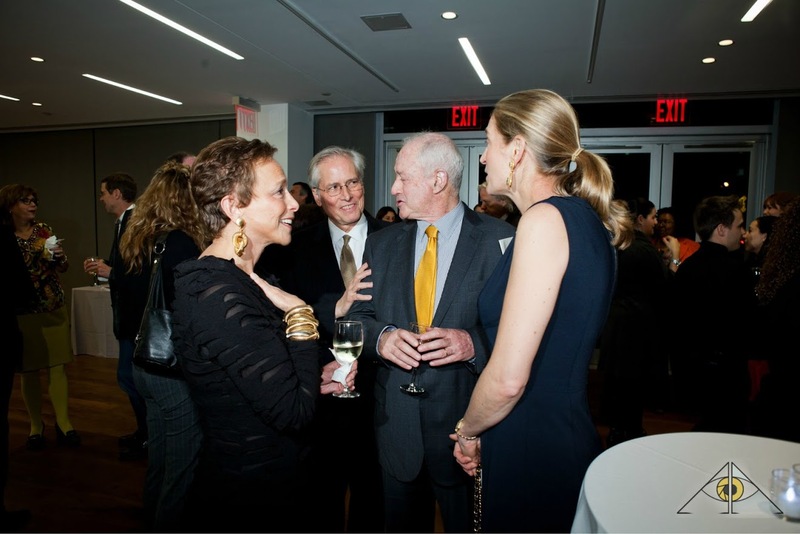 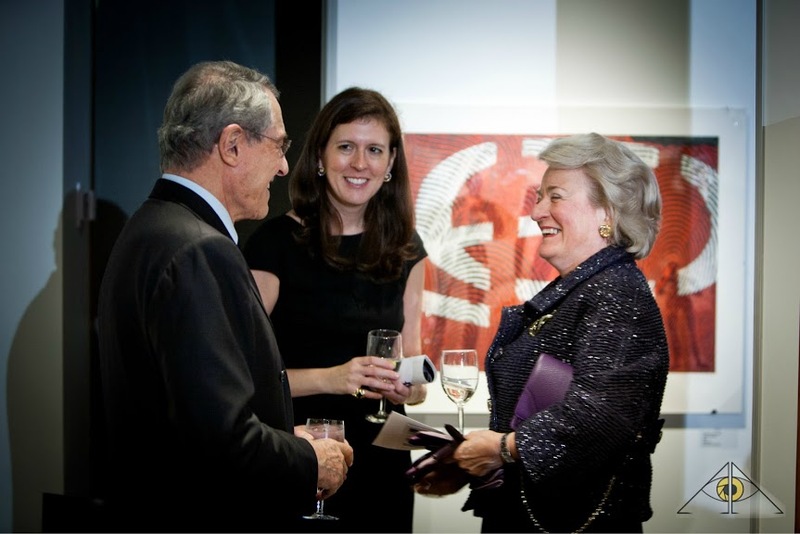 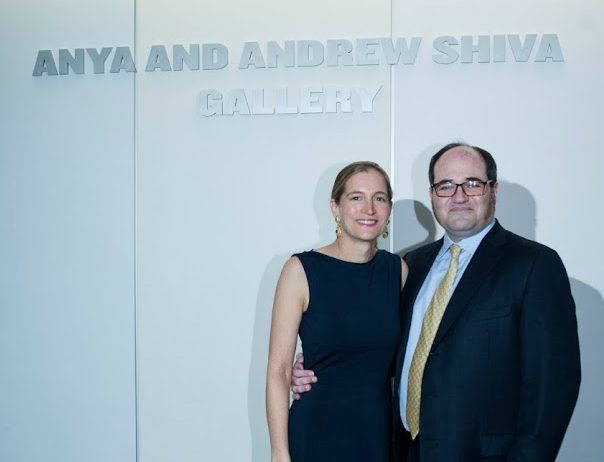 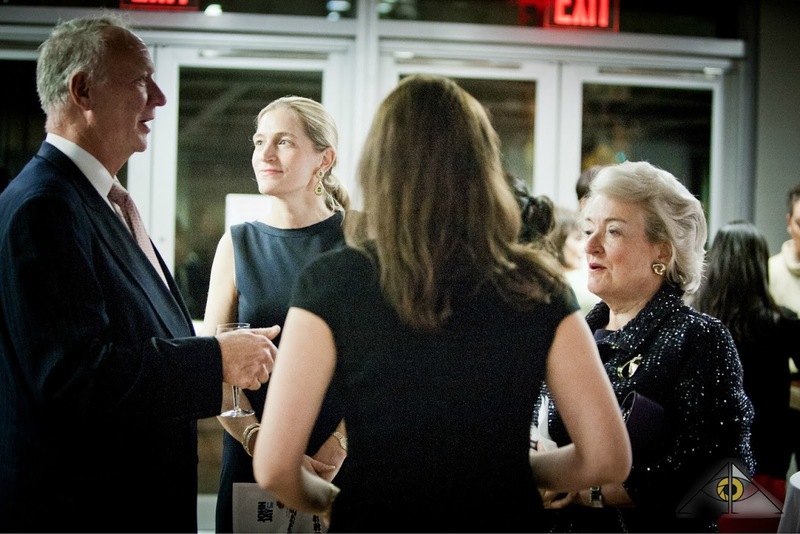 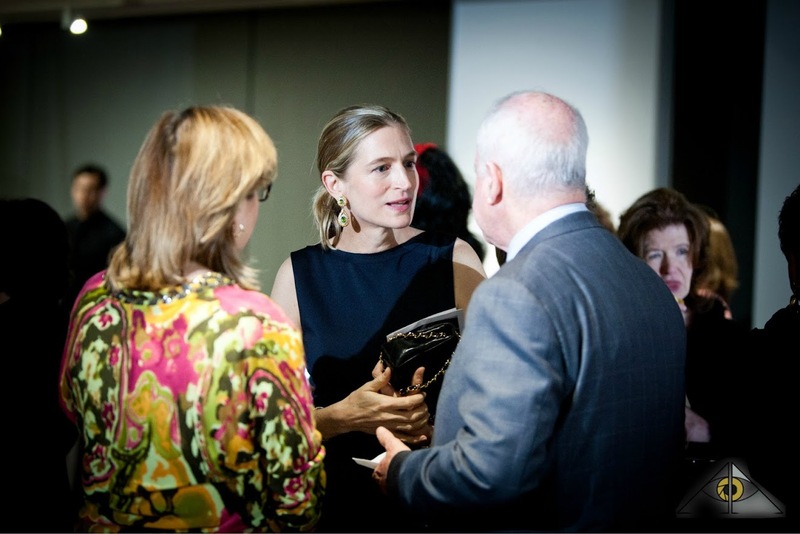 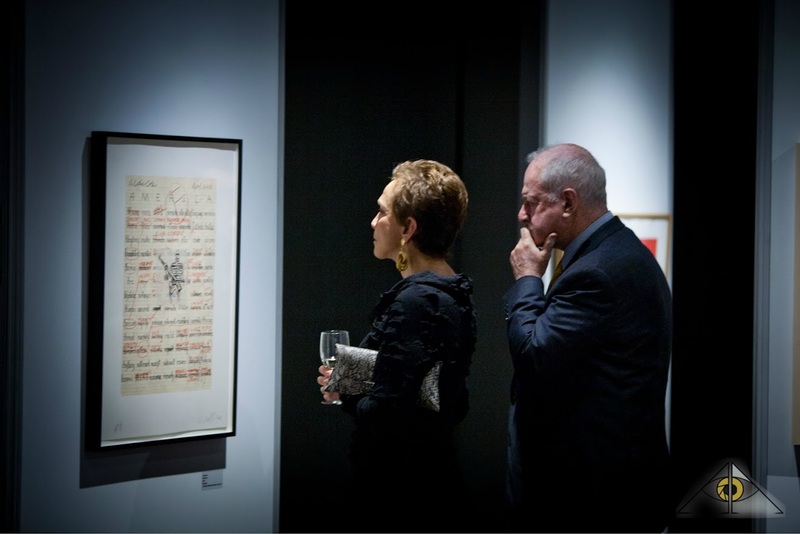 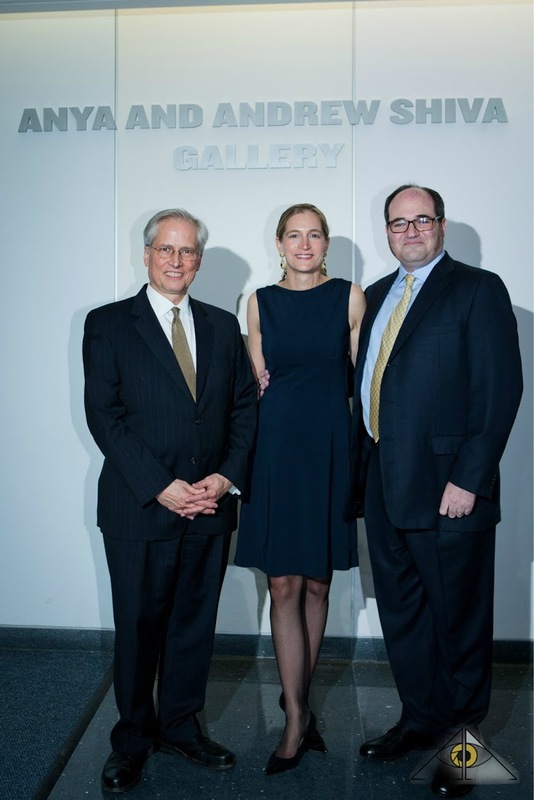 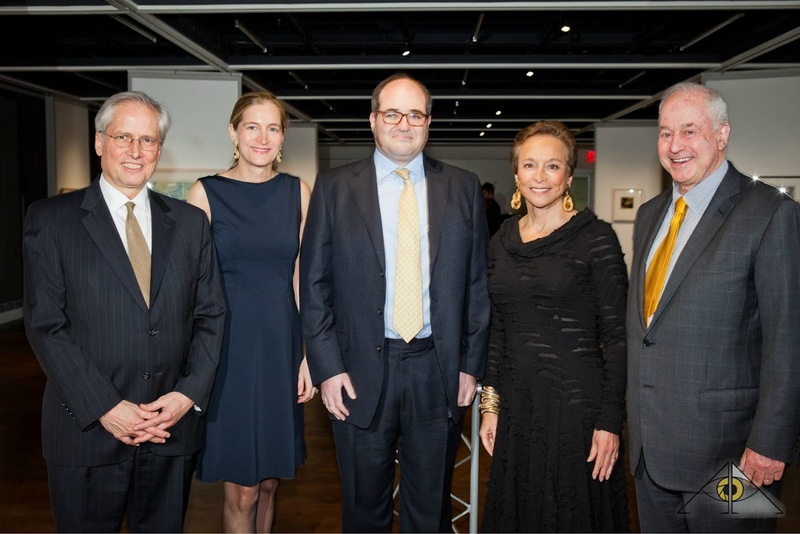 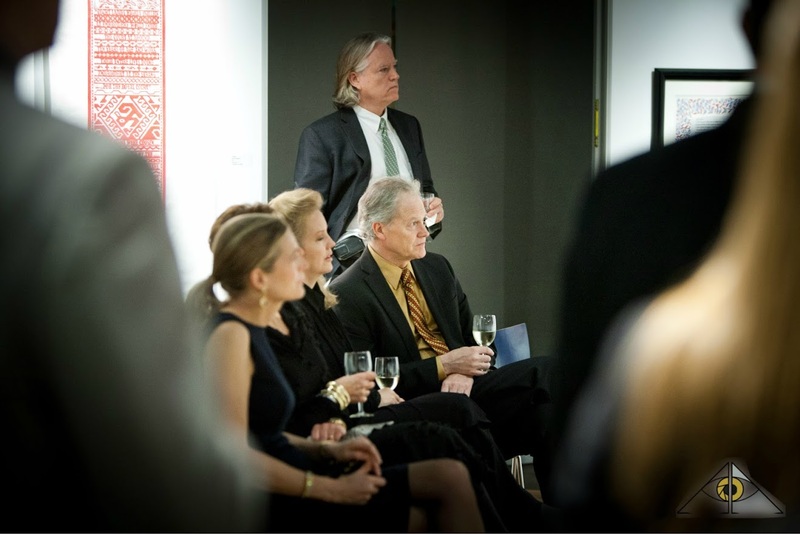 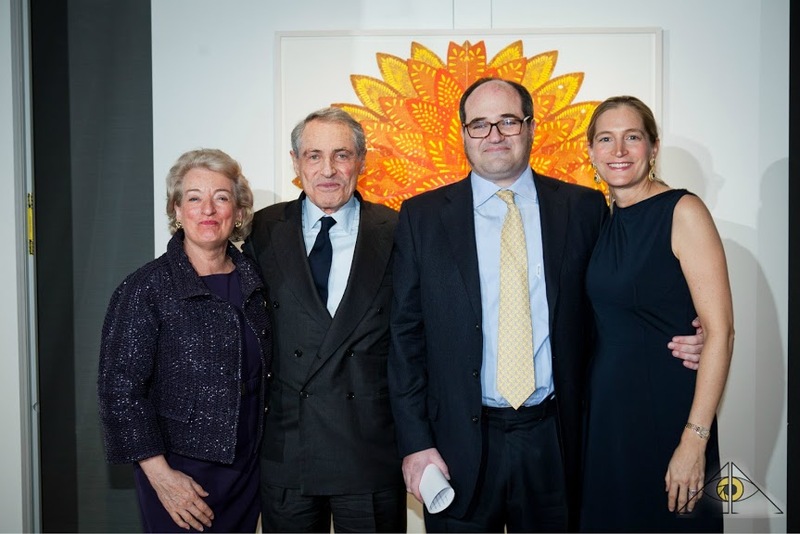 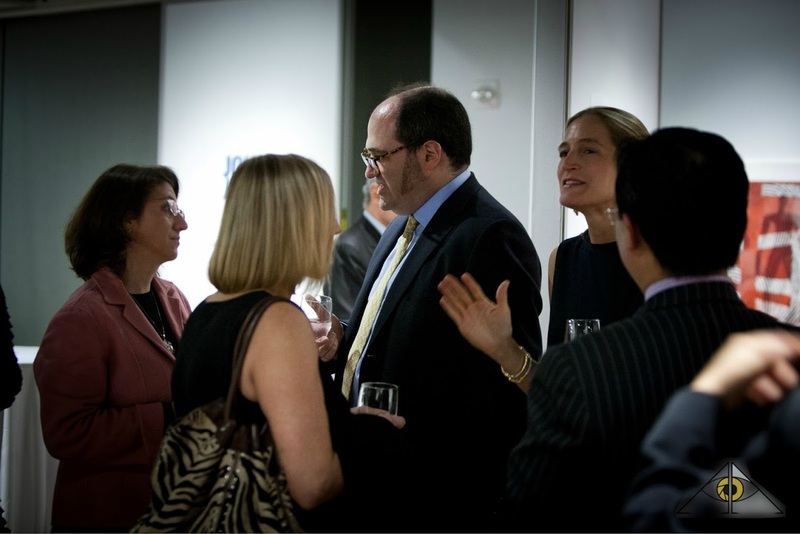 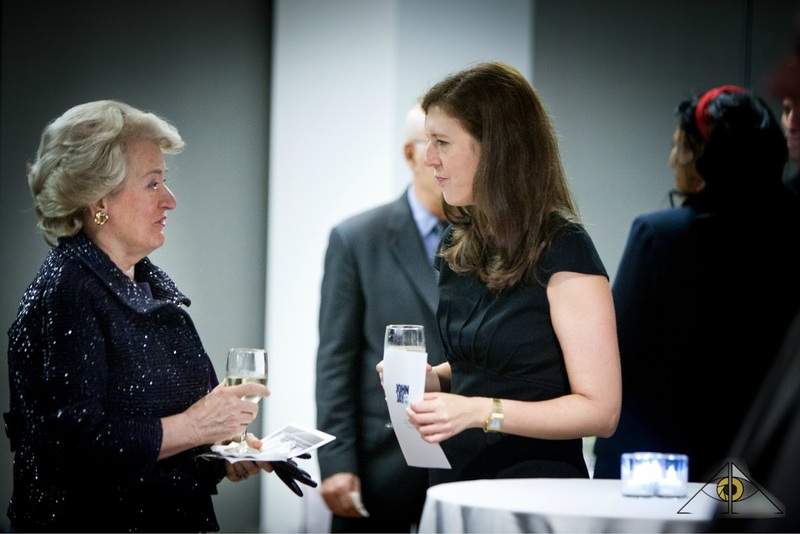 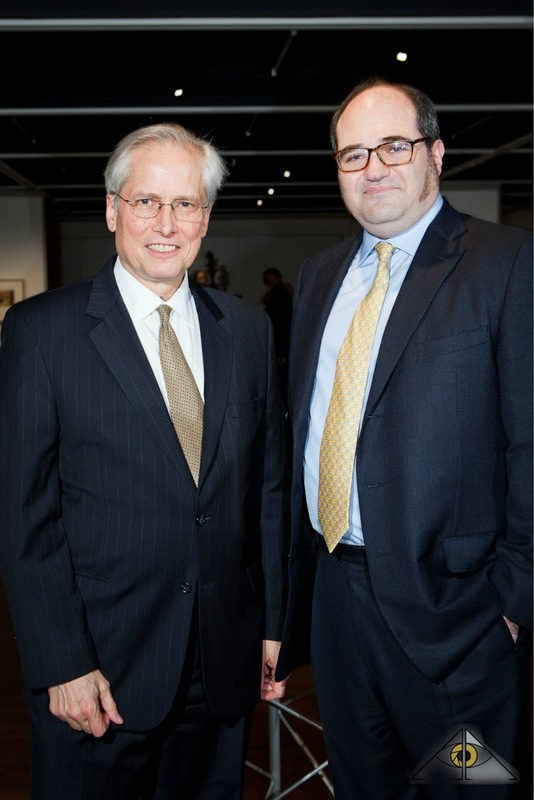 The generosity of alumnus and Adjunct Professor Andrew Shiva and his wife, Anya, was celebrated Tuesday, December 4, in a reception dedicating John Jay College’s new 4,050-square-foot exhibition gallery, the Anya and Andrew Shiva Gallery. 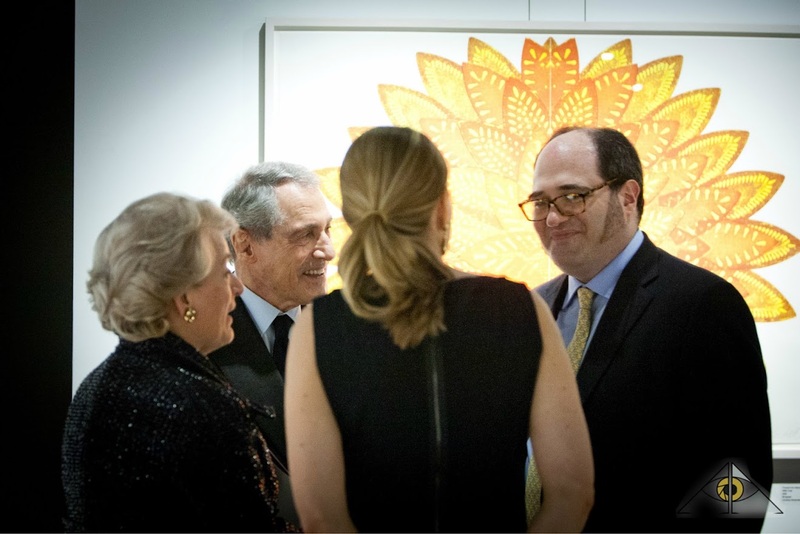 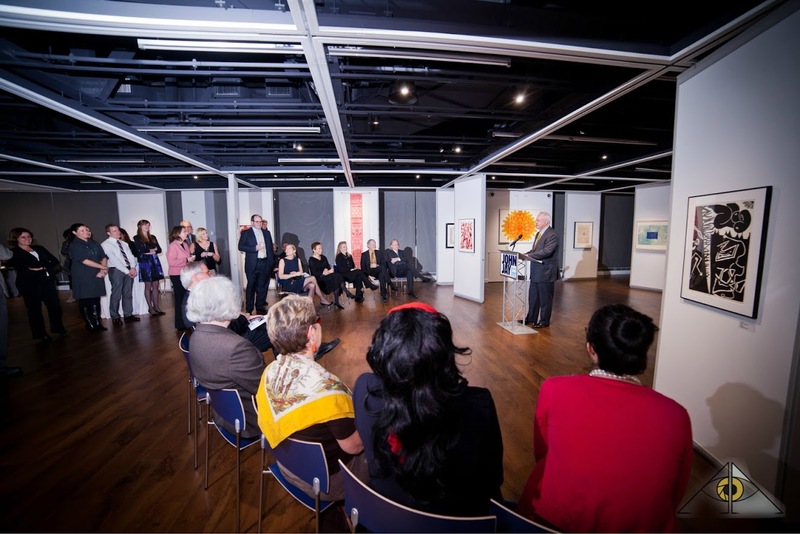 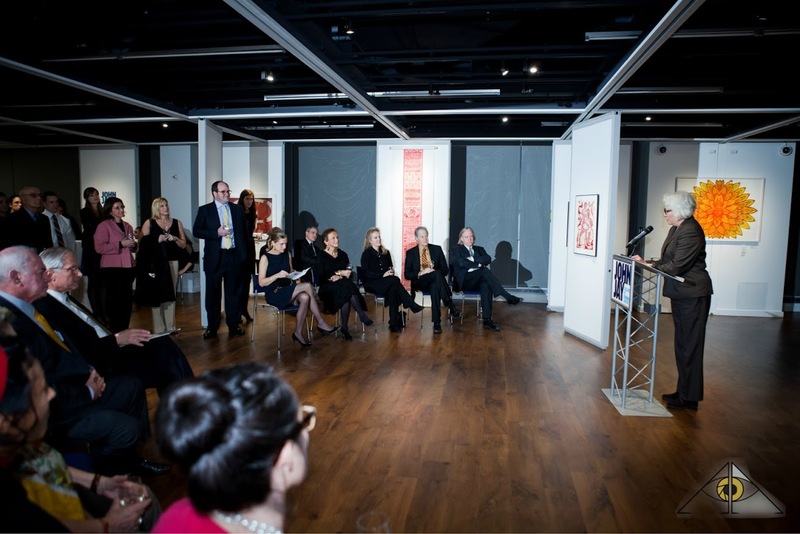 The eclectic space showcased the gallery’s first exhibit of fine art prints called, “Expressing the Social Conscience: Art Prints & Human Rights,” curated by Professors Thalia Vrachopoulos and Bill Pangburn. 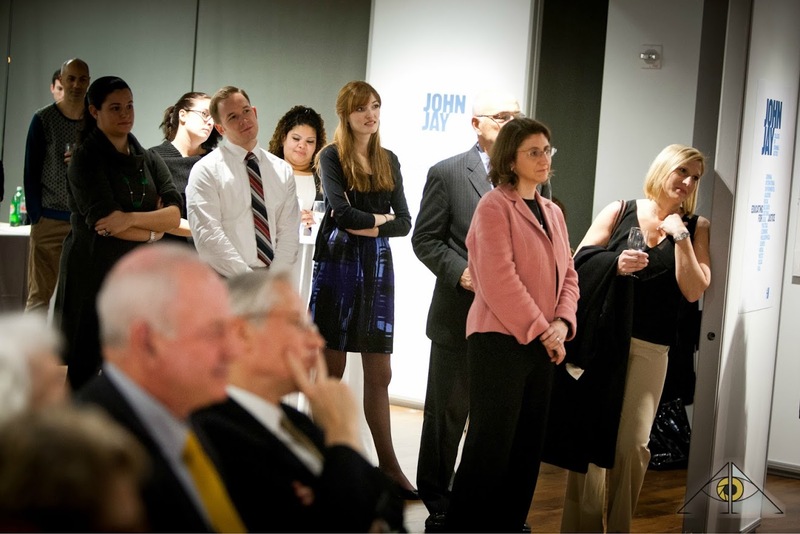 The naming of John Jay’s first official exhibition space in the new building recognizes the largest gift in the College’s history. 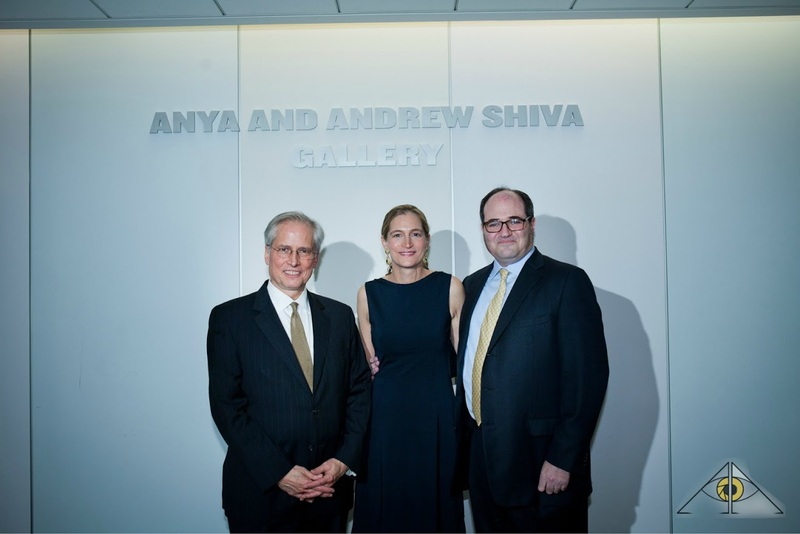 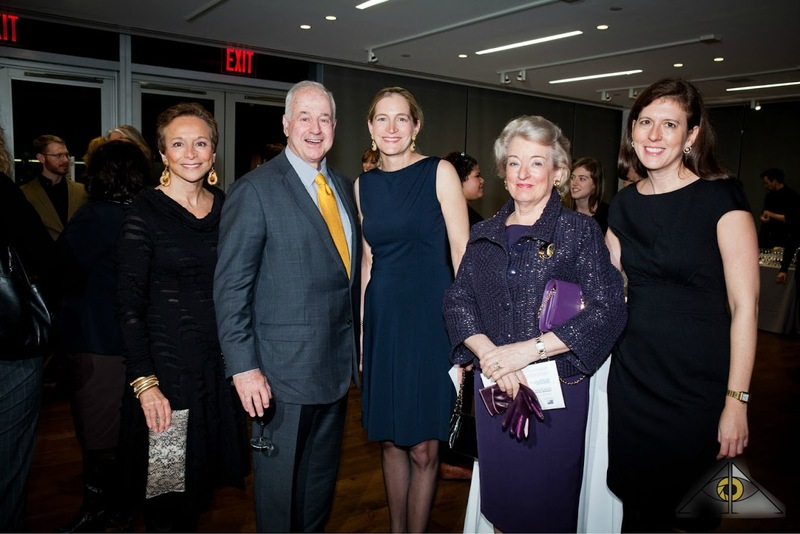 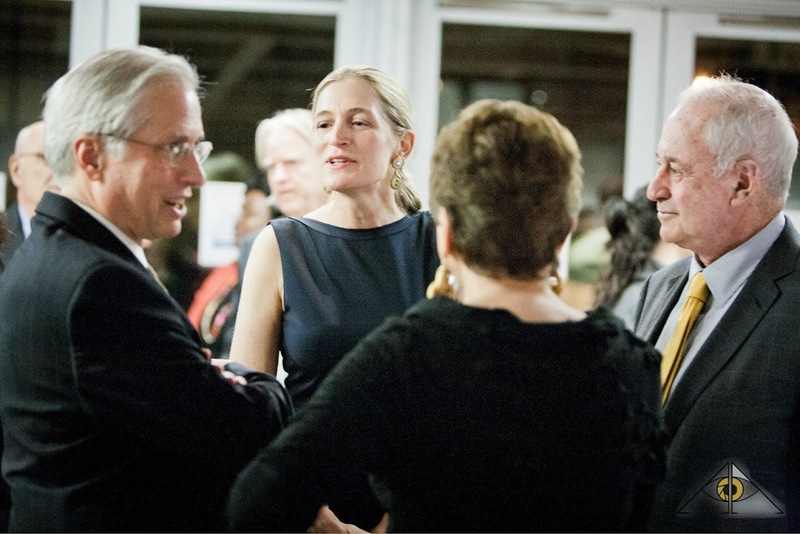 President Jeremy Travis presided over the reception and conveyed his deep gratitude to Andrew and Anya Shiva for their tremendous generosity and dedication to John Jay. 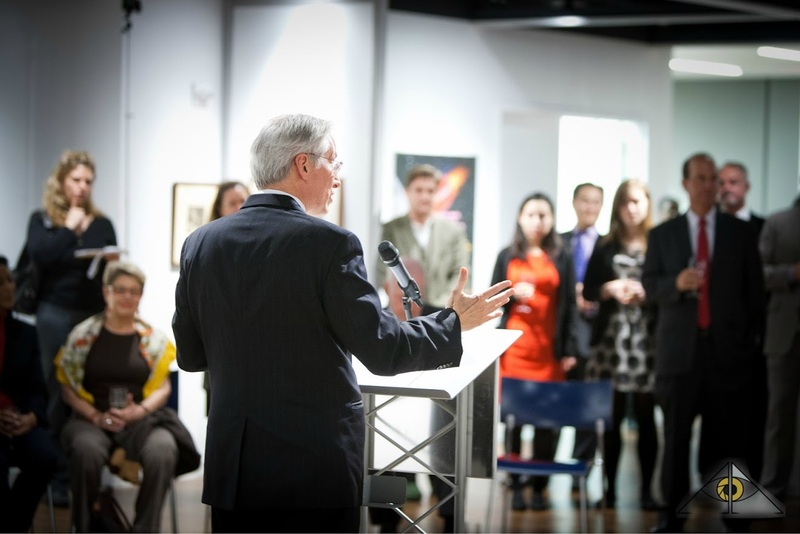 “We stand here today in recognition of the arts and what Andrew has given to the psychology department and the eminence of that program. 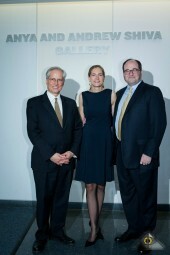 We are also recognizing an act of generosity in naming this art gallery,” said President Travis. 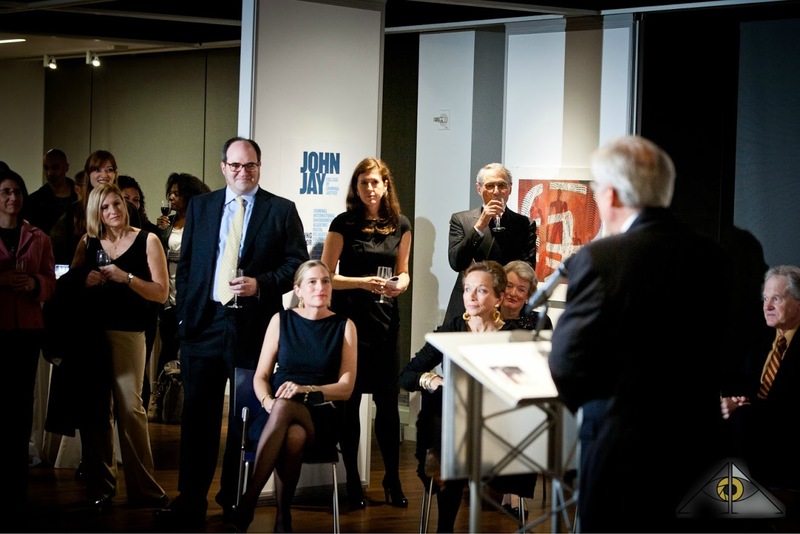 Dr. Shiva said his inspiration for giving so generously to his alma mater began with the rich, powerful relationships with, and encouragement he received from, John Jay faculty as a student and, later, as chief psychologist of the Division of Forensic Psychiatry at NYU/Bellevue Hospital Center and as an active and visionary member of the College’s graduate faculty. 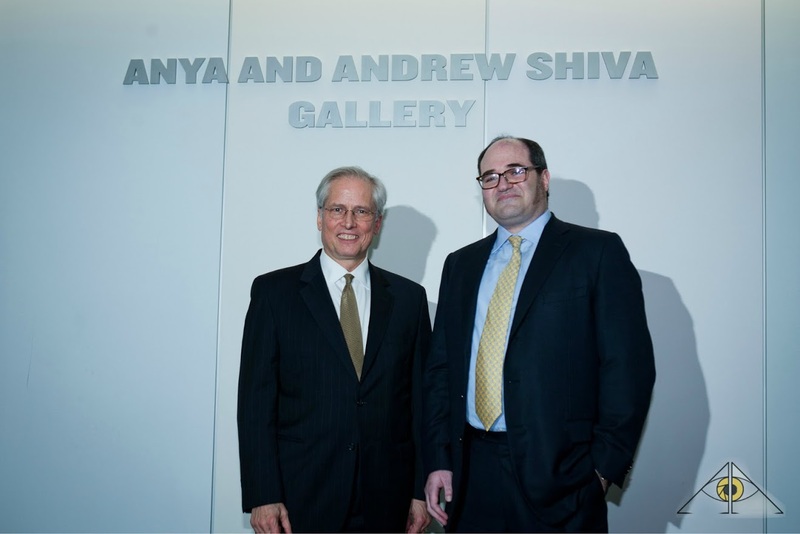 Dr. Shiva complimented President Travis’s leadership in initiating sweeping changes across John Jay over the last eight years, such as increased focus on doctoral education, ensuring funding is available for research, opportunities for practical, hands-on training, and John Jay’s transformation to a four year senior college. 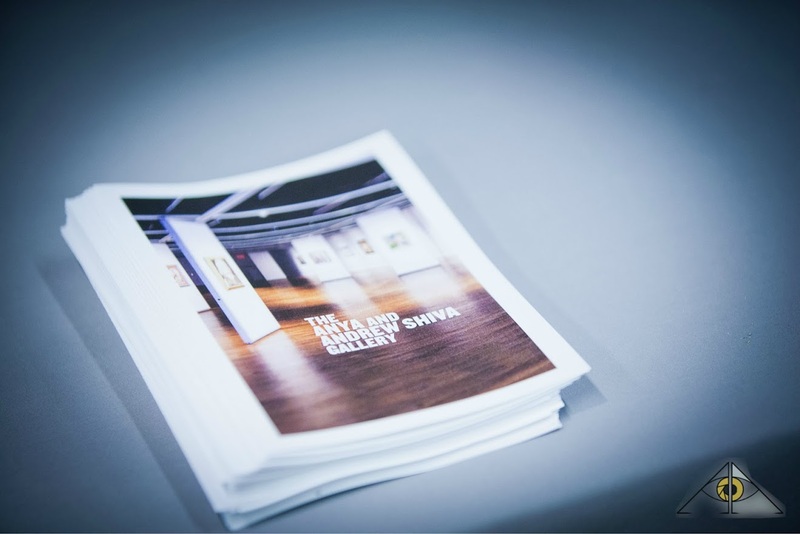 Dr. Shiva graduated with a BA/MA in Forensic Psychology in 1997, and then went on to earn a PhD in Clinical Psychology from Teachers College at Columbia University. 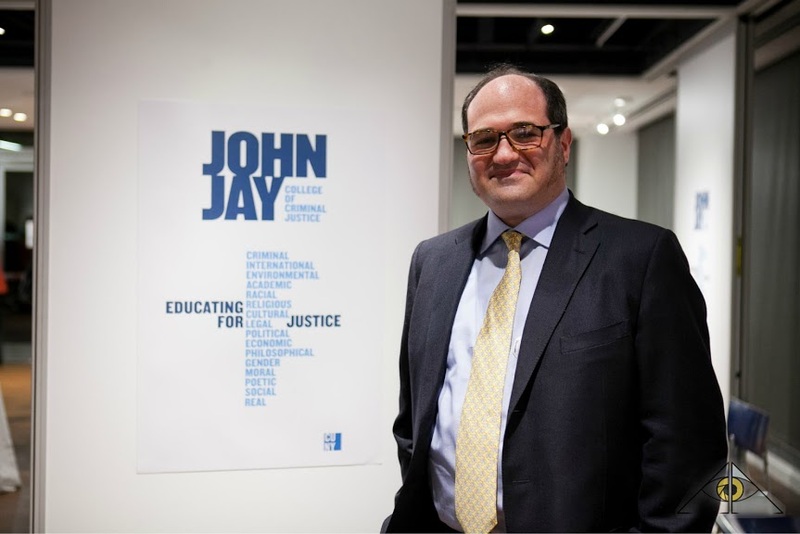 Always passionate about higher education and the mental health field, Dr. Shiva has been a strong supporter of the College as an active member of the doctoral faculty in forensic psychology and a trustee of the John Jay College Foundation. 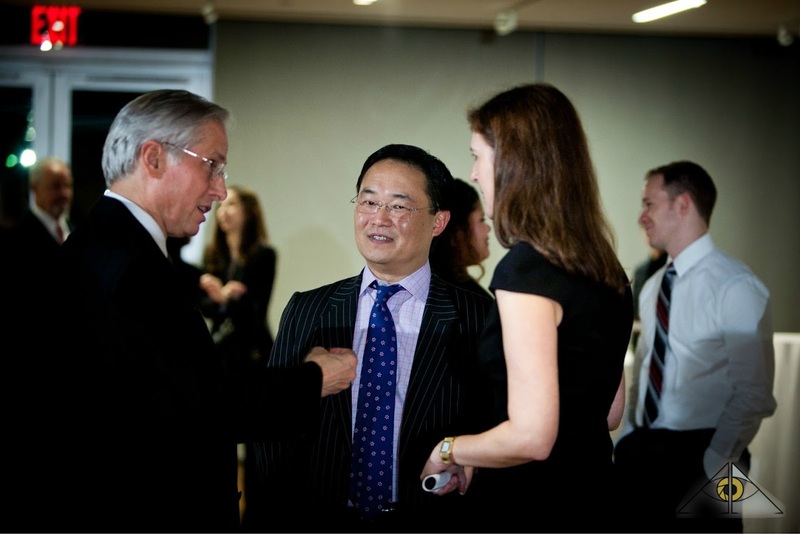 Dr. Shiva is also an avid collector of antique United States paper currency, and he founded the National Currency Foundation in the fall of 2011 to promote the history behind paper money and virtual exposure to the notes themselves. 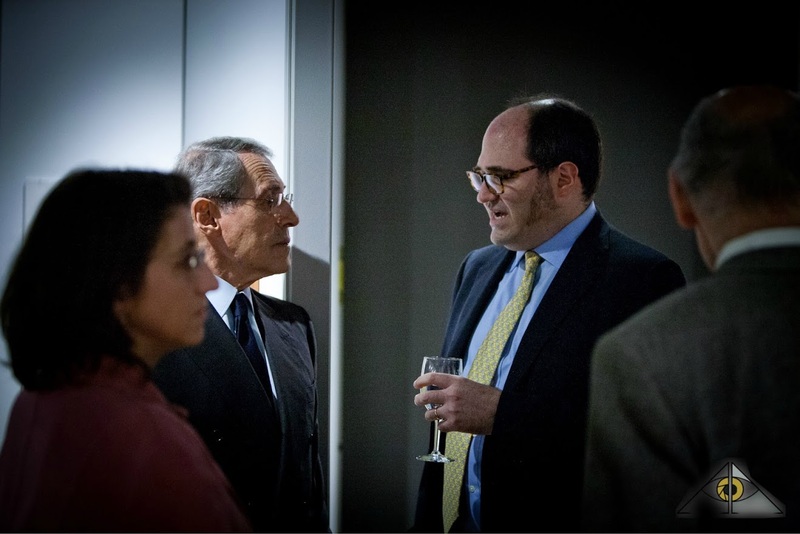 As a volunteer for the Smithsonian Institution’s National Museum of American History, Dr. Shiva has begun digitizing the holdings in the National Numismatic Collection. 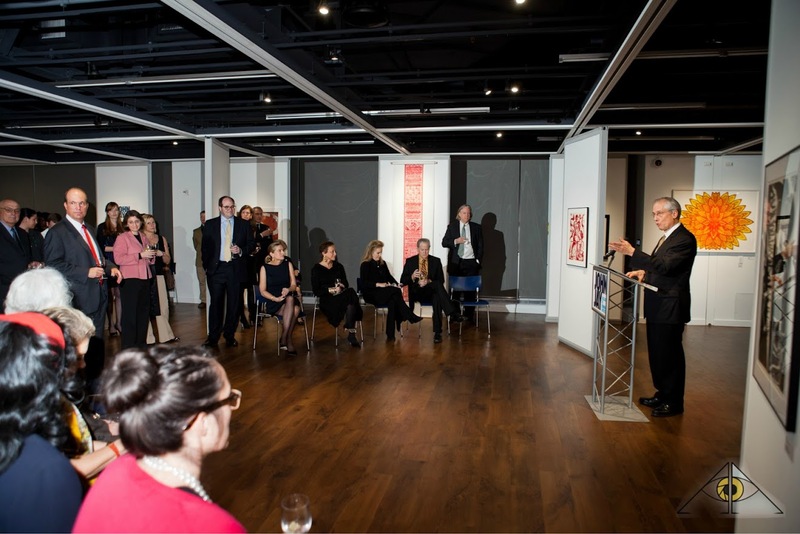 Bowers spoke about the various ways Dr. Shiva has demonstrated his commitment to the College’s Department of Psychology. 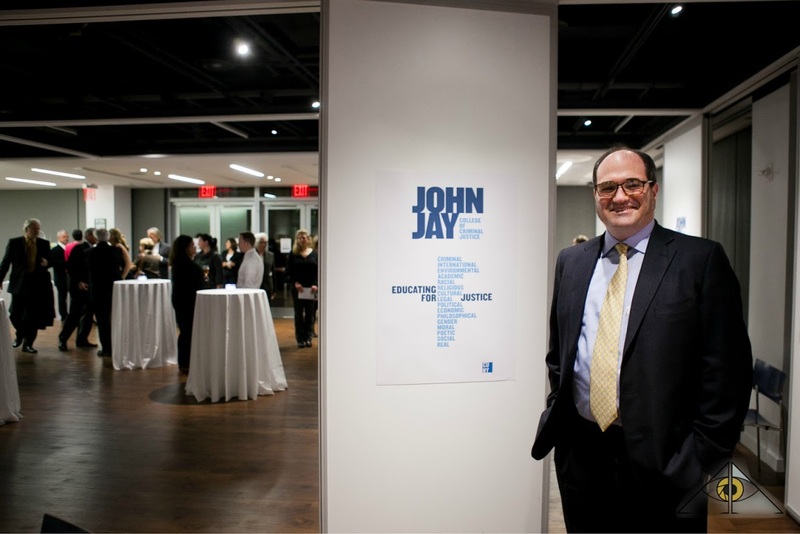 “You have given of yourself (your time and your energy) to the program, using your professional connections for the benefit of our students, mentoring students toward their own professional advancement, and leading by the example of your fine practice in the field for which your study at John Jay in part prepared you,” the Provost said. 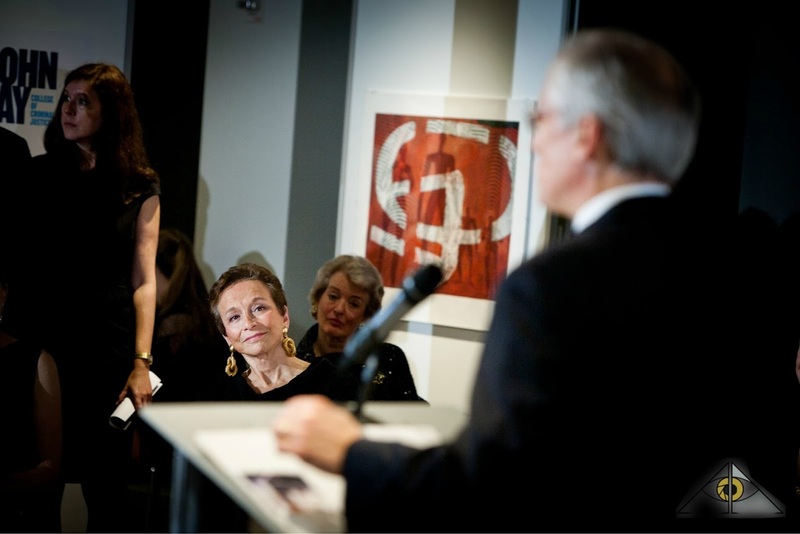 Chairman of the Foundation Board Jules Kroll recognized the young classical musicians whose music Mr. Kroll described as a “fitting choice” for the evening. 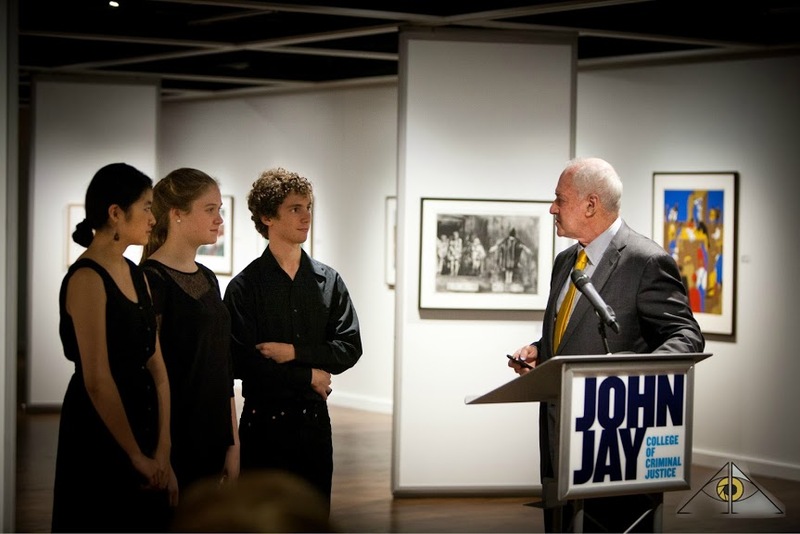 He explained that one of the young players, Jonathan Russell, was awarded a Daniel Pearl Memorial Violin, which is given to a different high school student each year in memory of journalist Daniel Pearl and symbolized the union of human rights, art and justice. In May, Kroll and his wife, Lynn, generously donated $2 million to the College’s Campaign for the Future of Justice, and the atrium in the new building is named in their honor.